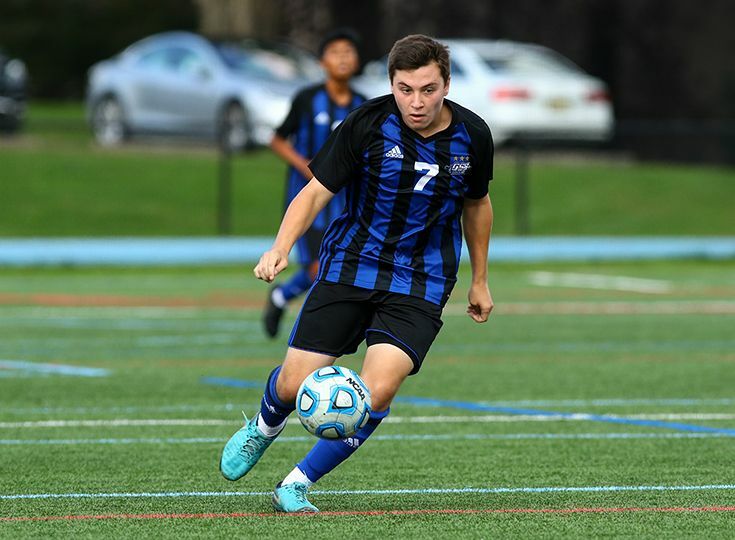 The boys’ soccer team is one of the hottest teams in the state as the Knights enter the North, Non-Public B Sectional tournament. October has been an incredible month for the Knights as they have won eight of their last nine games and have outscored their opponents 38-13 during that stretch. The offensive outburst continued for Gill last week as the program defeated Immaculata 6-2 on Tuesday, October 23. Andrew Moglianesi '19 led the way with a hat trick and Adam Berrocal '21, Jordan Canica '21, and Micaah Garnette '21 all contributed a goal as well. Goalie Alex Borto '22 recorded eight saves in the win. The Knights ended their regular season on Friday, October 26 with a convincing win as they defeated Mountain Lakes 7-0. Canica scored an incredible four goals in the victory and Moglianesi, Tyler Merna '19 and Dan Shen '19 scored as well. Gill heads into the state tournament with an overall record of 10-7-1 and takes on Hawthorne Christian Academy on Thursday, November 1 in the second round of the tournament.